By Tayana Simpson - Coordinating Editor · September 8th, 2018 at 6:32 p.m. In early August, a dispute between Canada and Saudi Arabia began after human rights activist Samar Badawi was imprisoned in Saudi Arabia, 6 years after his brother Raif Badawi was taken prisoner. Canadian Foreign Minister Chrystia Freeland tweeted that she was alarmed to learn of the imprisonment, that Canada stands with the Badawi family, and that she strongly called for the release of the brothers. Saudi Arabia responded by not only blocking trade deals and air travel to and from Canada, but they also began steps to cancel approximately 15,000 scholarships for Saudi Arabian students studying in Canada, leaving many to wonder if they can continue their education. On August 8th, UBC President Santa Ono released a message stating that “The University of British Columbia continues to assist students ordered to cease studies at Canadian universities by the government of the Kingdom of Saudi Arabia.” Ono goes on to say that he “appreciate(s) [that] this is a time of stress and uncertainty for UBC’s Saudi Arabian student population” and reassures them that the university is doing everything it can to support students. For many students, this dispute means they may not be able to finish their education. While some believe international students don’t necessarily need funding since they can afford the high tuition rates, the reality is that university needs to be accessible to everyone, regardless of economic status. As a student on loans, I understand how scary it can be to have funding potentially taken away, or lessened, and I am a domestic student who pays a fraction of the cost of international tuition. In addition, students do not deserve to be penalized for the decisions of their government, especially students who simply want to further themselves via education. In today’s economy, a degree is vital to getting a job, and as globalization continues, a degree from a western university may be more applicable across the world. These students are now stuck paying for the decision of their government in response to a tweet. Although the dispute is not the fault of UBCO, it is a smart decision to step up and offer support to students, who should be the priority of the university. Without students, UBC does not exist, and therefore the university has a responsibility to aid its students, especially when that aid comes in the form of lost scholarships and potential relocation. Despite the reality that university is essentially a business, Ono’s message and decision emphasizes that it is also an institution dedicated to ensuring its students get a well-respected education. 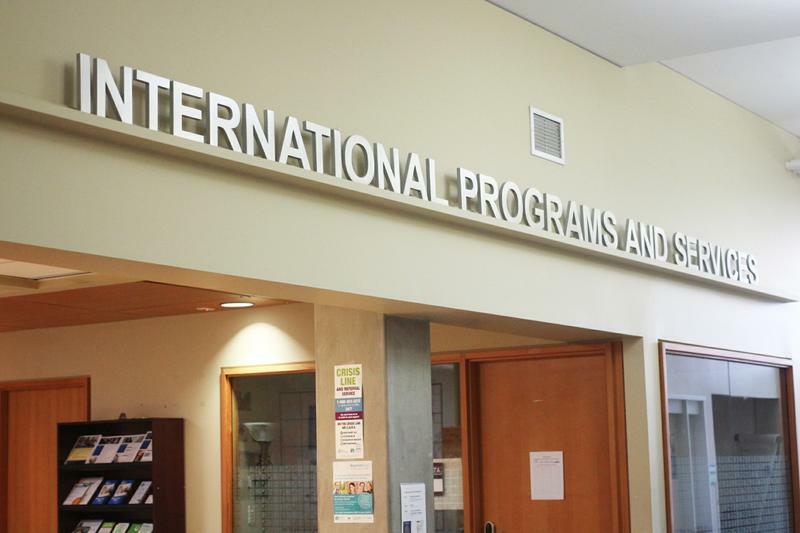 Any students in need of support at our Okanagan campus can contact International Programs and Services at ips.ubco@ubc.ca or 250-807-8585.